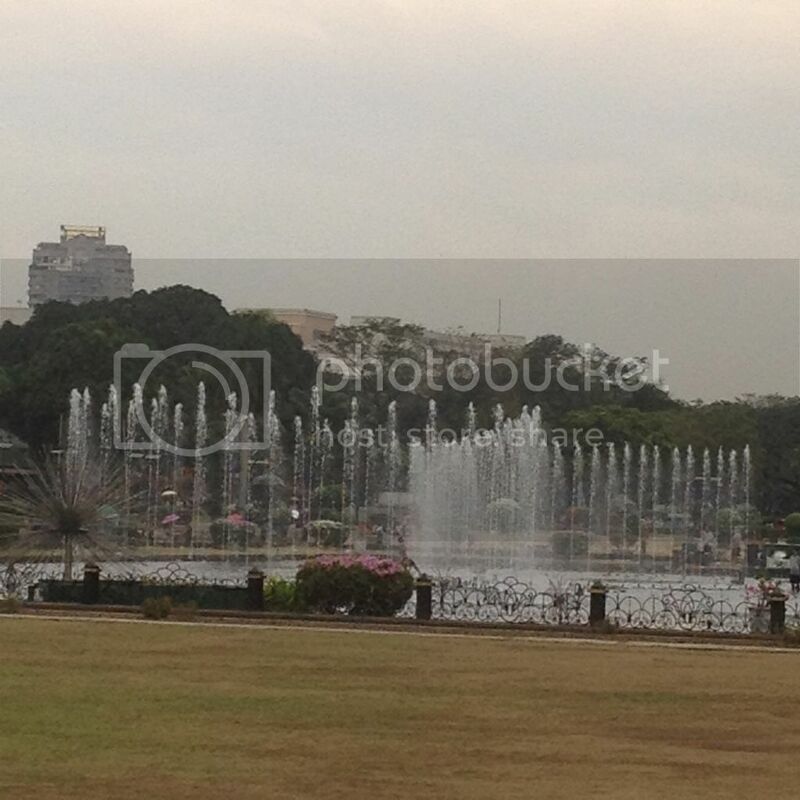 During our 10-day stay in Manila, we stayed at a hotel not far from Luneta Park. Luneta Park or the Rizal National Park is one of the biggest urban parks in the whole of Asia. Within the park are various significant markers, statues, and other places of interest. Some of these are the Rizal monument, the Kilometer Zero marker, several gardens, fountains, and the relief map of the Philippines. 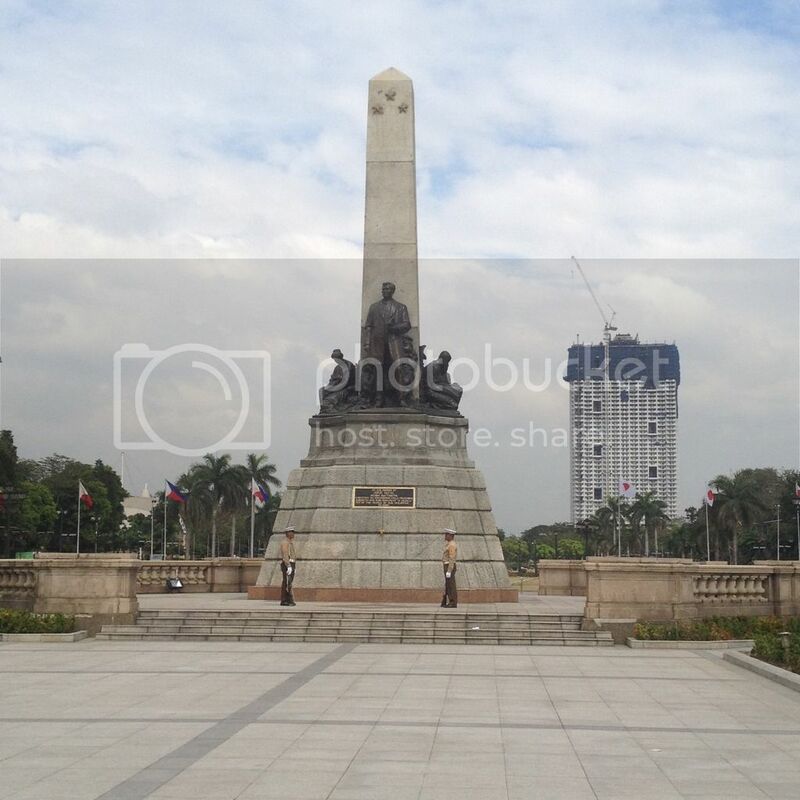 The Rizal monument is the photo most readily associated with Luneta Park. 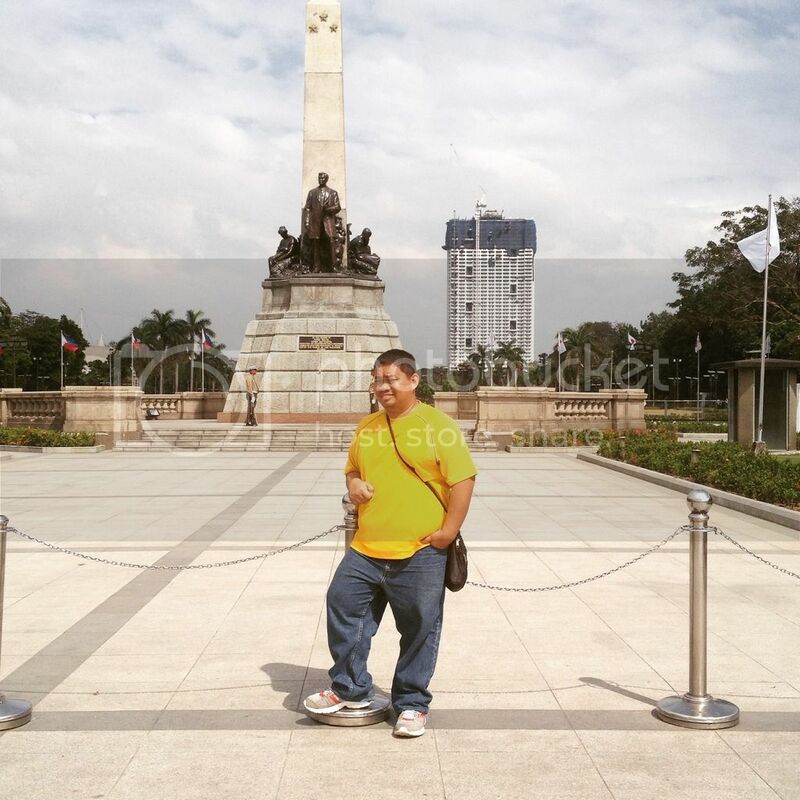 It is a monument that was completed in 1913 in honor of Dr. Jose Rizal, the national hero of the Philippines. In recent times, controversy has placed this monument in a spotlight largely because of the infamous Torre de Manila construction that invades its background. Of course, we took photos for ourselves with the Rizal monument at the background. According to the plate that contained information about Rizal National Park and the Rizal monument, the monument has the title "Motto Stella" and was the winning entry of Swiss sculptor Richard Kissling for the international design contest for the Rizal monument held from 1905-1907. Made of bronze and granite, the monument was completed in 1912 and unveiled on 30 December 1913. Rizals mortal remains was transferred to the base of the monument exactly one year before it was unveiled. 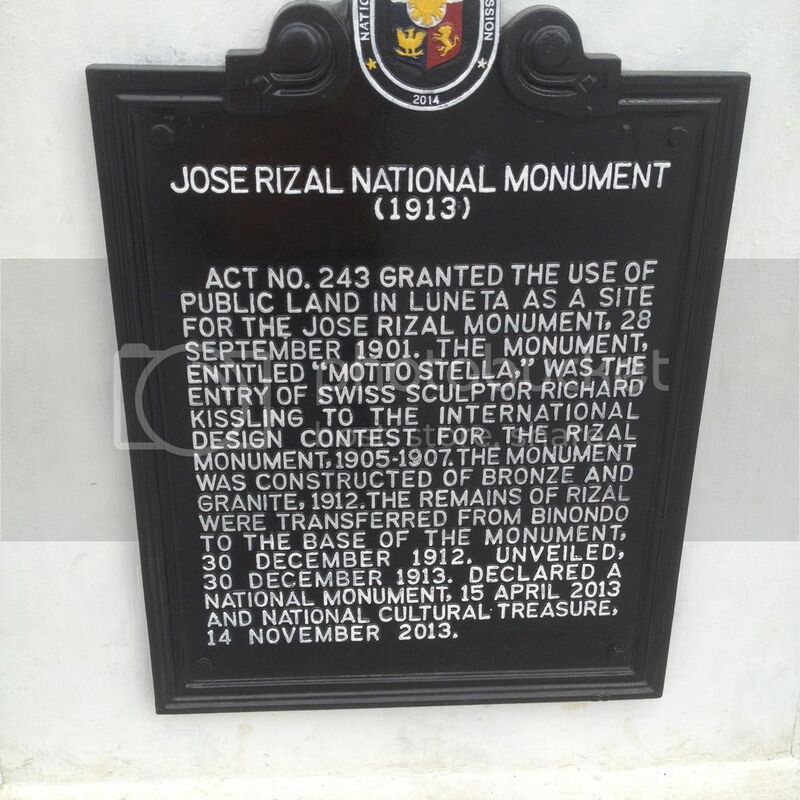 It was only in 15 April 2013 that the Rizal monument was declared a national monument. On 14 November 2013, the monument was also declared as a national cultural treasure. In front of the Rizal monument is a long flagpole where by law, the Philippine flag flies for the entire year and is illuminated at night. The Kilometer Zero marker is also located within Luneta Park. This marble marker is the point where all distances in the Philippines are measured from the capital city. The La Madre Filipinas was part of a set of four (4) sculptures depicting motherhood and originally adorned the Jones Bridge when it was unveiled in 1921. 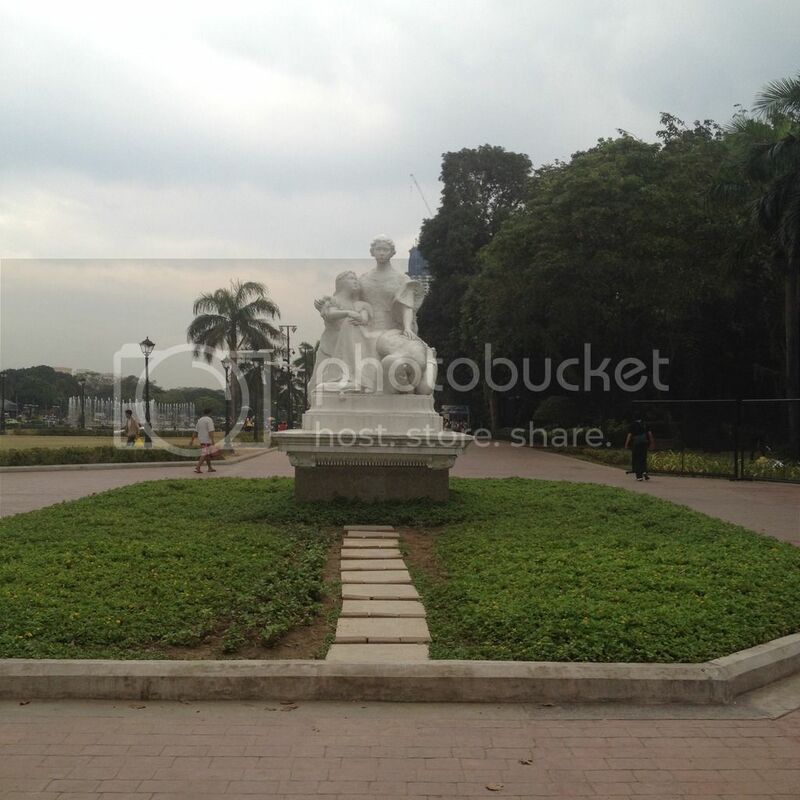 Only three of the statues survived after World War II, this one relocated to Luneta Park and the other two (2) relocated to the Court of Appeals complex. An interesting attraction within Luneta is the musical dancing fountain, said to be the biggest and most vibrant dancing fountain in the country. This would have been a nice spectacle to witness at night. Wikipedia. Accessed 19 March 2016.